Proofpoint has released its inaugural Social Media Brand Fraud Report which investigates the current state of social media brand fraud to understand criminals’ methods and examine how this business risk is evolving. The company compiled a list of the top ten global brands, companies such as BMW, Amazon, and Capital One, and then researched the types of fraudulent social media accounts associated with said brands over a period of three months. Social media fraud is on the up! According to Proofpoint, the selected brands were chosen because they are leaders in their field and have an active social presence with an average of 33.7 million followers across major social platforms, including Facebook, Twitter, YouTube, and Instagram. The company’s research has found that of the 4,840 social media accounts associated with 10 top brand names, 19 percent were fraudulent. And of those 902 fraudulent accounts associated with 10 top brands, nearly 30 percent were scams or offers for counterfeit products and services. SCMagazineUK.com asked Proofpoint how they would define the metric of how social media accounts can be “associated” with a brand, and a spokesperson for the company explained that this refers to the (evidenced) common occurrence of fraudulent accounts pretending to be the brand, but using an account with a misspelled name, eg if a betting account was to be called @SCBetting, a criminal might created an account named @SCBettting. This has meant that four percent of 10 top brand fraud accounts exist for one or more of the following: phishing for personally identifiable information (PII), malware, protest, and satire. Proofpoint highlights that while four percent may seem a small percentage, these accounts can be dangerous to customers and brand reputation. 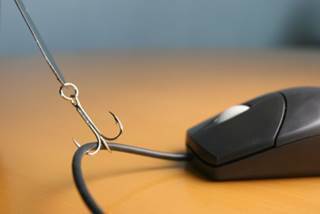 Social media Phishing is the fastest growing social media threat, there has been a 150 percent increase this year versus the same period in 2015. Proofpoint detected nearly 600 new fraudulent accounts each month in Q2 2016. The report highlights that consumers should be careful who they follow on social media sites because many global companies have several fraudulent accounts associated with their brand.